An anthology of poems from Connecticut writers some whom are well known in the USA including the late Gus Stepp. This is Stairwell Books’ first book and is a fantastic collection of poems by Connecticut Writers. 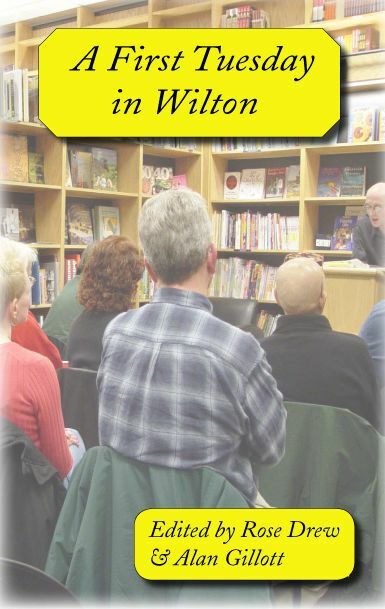 Some years ago Borders Bookshops opened a branch in Wilton Connecticut, and the editors, Rose Drew and Alan Gillott started an Open Mic to encourage writers who hitherto had to travel considerable distances to read their material. This group quickly grew to include an incredibly talented and supportive group of poets . This anthology was conceived to celebrate the combined talents of these excellent writers. Many of these writers are today leading lights in Connecticut Poetry, Faith Vicinanza, Frank Chambers, Mar Walker and others keep the flame alive, and Jackie Simmons is also the author of one of Stairwell Books own collections of poetry. Alas Borders Bookshops are no more and this one of the last books to feature Guss Stepp whose Detroit and Jazz poerty was well known throughout the United States. Guss was very supportive of us, the editors, both personally and our endeavors with the open mic and our debut anthology. He is missed by many.